Here we go – get your notepads ready and jot down these top ten tips to succeed in MLM Network Marketing. 1. Choose products that suit your passion. The network marketer must take care to study the audience and make the MLM presentation in an appropriate manner that his audience would deem fit. If it is very short, they would be confused and if it is too detailed, they would be bored. The marketer must know how to strike the balance somewhere in between. 2. Present how your audience wants. The network marketer must take care to study the audience and make the MLM presentation in an appropriate manner that his audience would deem fit… If it is very short, they would be confused and if it is too detailed, they would be bored. The marketer must know how to strike the balance somewhere in between. 3. Put on a display, rather than making a speech. Many people we have met are skeptical of joining an MLM business because they have been a victim of deceptive traps and false claims that network marketers have made in the past. Though it might seem that these reps do this with the knowledge of the MLM companies, this is not the case. The companies do not encourage such behavior and want the reps to be honest with their customers and potential recruits at all times. You must never make exaggerated claims and false income statistics. If you are truly passionate about your products and business, your enthusiasm is enough to make it work. You can state ‘n’ number of facts about the prospects of network marketing and people many still turn a deaf ear to it. Once you narrate your success story or one of your colleagues, people will definitely start listening to you. That is the power of storytelling. You can tell them about how you started, what worked best for you and what didn’t and how you succeeded. In addition to this, illustrate the story of your friends who have been successful in network marketing. 6. A no is a no! Do not keep nagging your immediate friends and family to join your network. Just mention what you are doing and how you hope to be successful in what you do. If they are interested in it, they would be keen on what you are saying and prod you to say more, else, you just move on. Most of the successful network marketers did business outside their immediate family and friends. Later on, after seeing their success, family and friends express interest to join them. Find the right market to sell your products. Once you have done that, you can develop specialized marketing strategies that would work in that market. For example, if you are selling beauty products, you can go for young and middle-aged women instead of senior citizens. In MLM business, a marketer recruits other people under them and help them succeed in business. They become his responsibility. He should invest his time in helping his downline to succeed in the business by providing them with adequate training and guidance. A good sponsor should always ensure the success of those who are recruited by him, not just his success. MLM is a very popular industry today. The marketers face tough competition of convincing his potential customers to join his network over a dozen others who also cajoling him to join theirs. Hence, you have to do something that differentiates you from your competitors. Give people genuine benefits of joining your network over the others. Also, find out the perfect MLM software that suits your business and customize it how you want. 10. Follow up with your downline. This is probably the most deciding factor of success in your network marketing career. Be in touch with your downline members regularly and follow up with their sales. Ask them if they face any troubles with the business and help to resolve them. 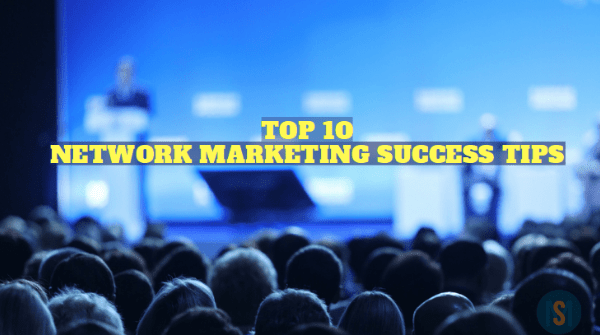 These are a few network marketing success tips that have worked wonders for network marketers around the world. You can also try a free MLM Software Demo. If you have any other tips and tricks to succeed in MLM, comment down below!